Alpha is safety focused and is working to bring clients advanced technologies available in safety features for your warehouse. One exciting new addition is the capital safety range of high tech equipment ready to transform any difficult work area into a safer workplace. The product of Alpha Racking' s choice is the pallet racking safety netting that will keep all your stored and palletised goods from falling through the rear of the pallet racking after placement. This easy to install safety cable netting is designed to withhold items in place that may otherwise shift and fall in zones of heavy traffic and forklift activity, and will keep pedestrians, forklift operators and warehouse staff safe from accidents. Alpha Racking recommends that if you are using pallet racking, then it is wise to add safety netting to ensure items that are stored remain secure within the racking, particularly with smaller boxed items. 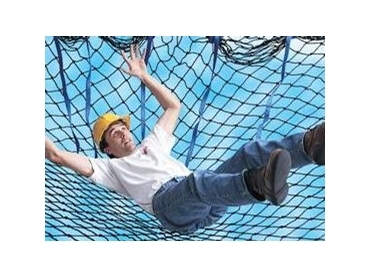 The additional cost of safety netting is affordable and will reduce workplace accident risk and ensure workplace conformance to Australian Standards. Adding to existing pallet racking is an easy way to update your warehouse and create a safer work environment for employees. All netting is available in different sizes and can be ordered direct from Alpha Warehouse solutions and installed making this an ideal way to improve your warehouse.